Alice Roosevelt is a force to be reckoned with. From the moment her father took office, Alice knew that she would make a mark on the world. However, impressing Theodore Roosevelt is a monumental task. Alice lives according to her own rules and the beliefs that her father has instilled upon her. Alice makes waves in Washington from her teenage years through adulthood, even when a Roosevelt is not in office. Alice would love to find love, but that aspect of her life seems to continuously fall through the cracks. As Alice survives the years and the ups and downs of Washington, she make friends and enemies but is respected by all. I love learning about lesser known historical figures. I of course knew about Theodore Roosevelt and the many things that he had accomplished while in office. I have even visited the site where the book begins. However, I have not heard much about Alice except for a few quotes. From the moment the Roosevelt's find out that Theodore will be President, I knew that I would like Alice. Her character has immeasurable strength and conviction that is paired with a wildness that makes everything more exciting. I was surprised at the many things that Alice was able to accomplish both large and small- from having a color named after her to helping her father with international relations, Alice was influential in both the social and political spheres. While Alice's public life was filled with escapades, her personal life was just as engrossing. Her relationship with Nicholas Longworth would be fodder for every tabloid if she were alive today. I was endeared by Alice's quest to please her father. 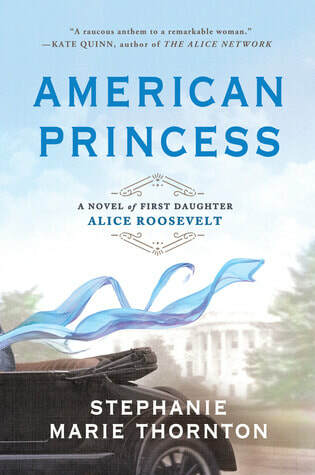 Written with careful detail to historical records, American Princess creates a rich and riveting story of Alice Roosevelt Longworth, a woman who earned the title of Princess and The Other Washington Monument throughout her life. ​Airk Meir is a young Jewish man growing up in Los Angeles in the 1970's. Arik does not really participate much in his faith except for hearing about the stories his father, a disabled war veteran, tells him of being in the Israeli Army. Arik becomes a pillar of his faith after a heroic act and decides to learn more at a Zionist summer camp, Camp Moshava. At first, Arik has a difficult time fitting in with the posh kids from New York. Soon, Arik finds friends in Richard, Eliezer, Penny and Dahlia. Dahlia is the jet-setting daughter of the Israeli ambassador to the United States. Arik and Dahlia find themselves in a whirl-wind romance with promises of a future together. However, fate seems to want to keep them apart. Dahlia's father does not approve of the relationship and pushes Dahlia to find someone more fit for her stations. As Arik enters the Israeli Army, he faithfully writes letters to Dahlia about the trials of becomming an elite soldier. However, the distance does damage and the two drift apart. Dahlia has trouble finding her footing but eventually finds her calling in the Israeli Army as Arik becomes a hero for Israel. Lone Soldier is an epic journey of two young people in the 1970's with many twists and turns as well as unexpected ups and downs. 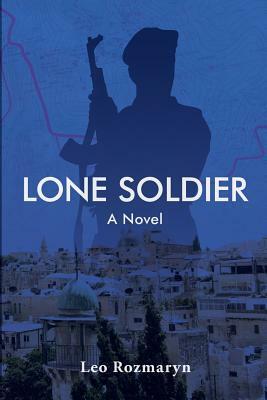 Lone Soldier is quite a tome rounding out at 625 pages in length. While I don't think that the book needed to be quite this long, the characters and plot kept me interested the whole way through. Arik's character is very easy to like, he was hardworking, wholesome and could see the bigger picture in life, though he can almost seems too perfect at times. Dahlia is, at first very much a spoiled princess, however, her intelligence, caring nature and charisma is enhanced once she is paired with Arik. I enjoyed watching their relationship grow and change as they became adults. One thing that did bother me early on was the dialogue and overall wordiness. The amount of times that "I love you" was written out was too many to count and many points were unnecessarily repeated to the reader. Some of the dialogue also felt unnatural and clunky as all the characters readily said exactly what was on their minds and were overwhelmingly honest with their feelings. What could have used a little more explanation were some Jewish customs, holidays and phrases. Though I am familiar with some of the Jewish culture, I still had to stop and look up some things. The story had a unique lens of the Jewish-American community in the 1970's to give a different perspective on the decade. Through Arik, the trials of racism and the African-American community of Los Angeles was shown in a new light, especially the impact of basketball on the community of Watts. I did thoroughly enjoy reading about Arik's time within the Israeli Army and his part within the Arab Israeli conflict. I could tell that the author had done a lot of research and had passion for this time. The five Carson siblings have been in turmoil since the disappearance of their parents several months earlier. When oldest sibling, Adam receives a packet from his parent's lawyer, the pieces begin to come together. However, the packet reveals a secret website set up by their parents telling of their discovery of time travel portals and the subsequent adventures in different time periods. After Adam reviews the evidence and reads through how the portals work, he gets his siblings together and they unanimously vote to travel through time in order to reach their parents. They plan to go through a portal near their hometown in Arizona, taking them back to the 1880's; however when they step through the portal they end up near Johnstown, Pennsylvania in December 1888. The siblings quickly try to acclimate themselves into the time and begin the search for their parents. For twin siblings, Cody and Caitlin, this means enrolling in school. For middle brother, Greg, an adventure into the truly wild west to track a lead in Arizona territory and California. For Natalie, using her journalism skills to follow leads while Adam manages information and holds down the fort from the temporary home at the Colbert Boarding House. Even though the sibling's main objective is to find their parents and return home, the extended stay in Johnstown has led to romantic entanglements for four of the five siblings and their parents keep slipping through their fingers. On May 31st, 1889, the Johnstown flood devastates the town and the inhabitants leaving the Carson siblings in disarray. 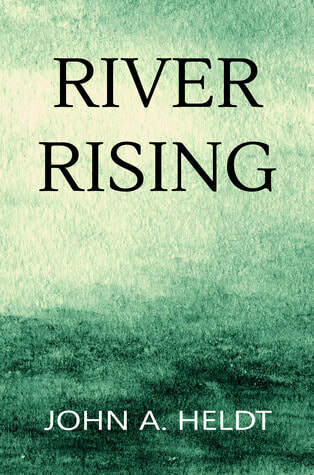 River Rising is an epic time travel adventure. This is a story you will want to take your time with and sink into. From the moment the five siblings walk through the time portal and into 1880's Pennsylvania, ​I knew I was in for an exciting ride. Amazingly, all five siblings: Adam, Greg, Natalie, Cody and Caitlin are very well developed and individual characters. They each take turns at telling their part of the story through their point of view while continuing a cohesive story line. Pennsylvania 1888-89 was a wonderful year to travel back to; much like the Carson siblings I was amazed at the time period where Benjamin Harrison had just been elected President, Mark Twain was in his prime, the West was still wild and Punxsutawney Phil has made his first appearance. Through the sibling's eyes, I was able to see many of these events first hand. Unlike the characters in Heldt's other time travel series, the Carson siblings did not travel through time thinking about the possibility of altered timelines. I am very interested in how their very involved actions in 1888 may have altered things in the present. I am also very interested in how the time portals work; it is know that they appear on solstices and seem to appear in areas that are known to be sacred or have paranormal activity. I would love to figure out more about them and where else they seem to pop up. Near the end of the Carson sibling's grand adventure, the game of cat and mouse that they have been playing with their parents seems to be no closer to the end and the intensity increases when tragedy strikes with Johnstown flood; I had a hard time putting the book down. Ending, with a huge cliffhanger, I can not wait to see what happens with the Carson family next. The five Carson siblings plus their new sister-in-law, Bridget have just stepped through a time portal from 1889 into 1918. They are still playing a game of Marco-Polo through time trying to find their parents, Tim and Caroline who have taken a detour on their time-travel adventure. This time they are hoping to catch their parents as they visit their ancestors. Adam and his new and pregnant wife Bridget settle in a cabin in the backwoods of Minnesota, neighbors to two women set to marry into their family. Greg agrees to travel into the potential dangers of Mexico, hoping to find his parents near where his great-grandparents live. Instead, Greg finds a woman that may finally be his match. Natalie takes a reporting job on the front lines of the War in France meeting the son and husband of a friend from 1889 as well as some ancestors. Meanwhile, Cody and Caitlin track down a friend from 1889 that is very surprised by the fact they the twins are still 18 years old. With all of their trekking through time, the Carson family seems even more scattered, but they are closer to finding their parents than they think. An exciting, risk filled, time travel adventure filled with romance, intrigue and history, The Memory Tree picks up right where River Rising, the first book of the Carson Chronicles leaves off. I would definitely recommend reading these books in order since so much happens in River Rising. I was so happy to begin reading about the Carson clan once again in a new time period. I have enjoyed the device used for time travel in the books, a portal that opens only at solstices and equinoxes that will transport you to different times depending on when you walk through. I was able to learn more about the portals in this book along with more information about who uses them. In The Memory Tree, we also delve into the Carson family history by meeting many of the Carson ancestors. I am very anxious to see the results of the future Carson's family presence in the time of the ancestors. This time, it seems to have altered some important events in their family tree. With having the Carson family spread out, I was also able to witness many events that happened in 1918. As World War I came to an end, Natalie witnessed firsthand accounts of injured soldiers returning from the front in France and senseless killings even after the War ended. Adam and Bridget survived a forest fire that ravaged Cloquet, Minnesota. Greg witnessed Tijuana before it was a tourist town and when money was above the law. Most interestingly, Cody and Caitlin were able to reconnect with a friend from 1889 and see the effects of the War on a family that has been left behind. 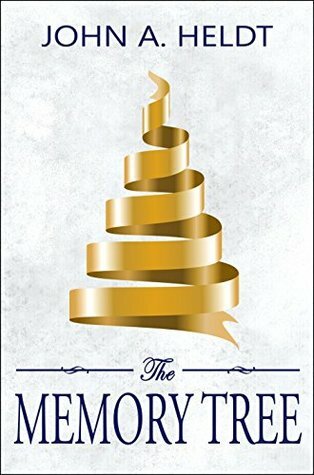 With moments that range from heartbreaking to heartwarming and exciting to mysterious, The Memory Tree is another expertly crafted tale within the Carson Chronicles. I can't wait to continue their adventures into the 1940's. The five Carson siblings plus two new sisters-in-law and a new baby have entered a new time period in pursuit of their parents yet again. Now the large group has entered into 1943 Arizona, a dangerous time especially for the three men who are all of age to be drafted. They all quickly find jobs that will help the war effort. Cody drives a supply truck that makes deliveries to an Internment Camp where he befriends a family. Caitlin and Natalie maintain airplanes and meet two aviators. Adam settles down with his wife and child as well as finding a job teaching English to Chinese pilots. Greg along with his new wife are also finding their way in a new time, but with the same old problems that continue to haunt him. With extensive knowledge of the events of World War II, the Carson clan must be extra careful to make sure they are fitting in with their time period. 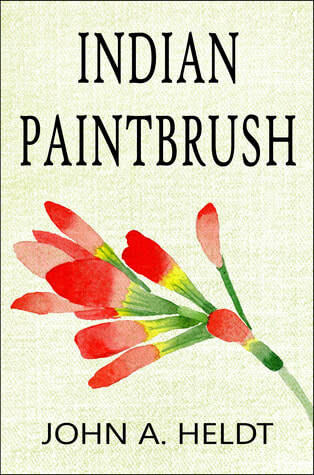 Exhilarating and endearing, Indian Paintbrush offers an engaging time-travel adventure into 1943 with the Carson siblings. I would highly recommend reading this series in order to get to know all of the characters and motivations. I enjoyed diving right back into the action when the Carson family crossed through the veil into 1943 from 1918. I was excited to learn how they would fit into a time period that they had more knowledge of and how the brides from 1889 and 1918 would do with the continued changes. After two previous time hops, the group is getting better at assimilating to the time period. As with the past two installments, I was impressed at how well immersed into the time period I felt. 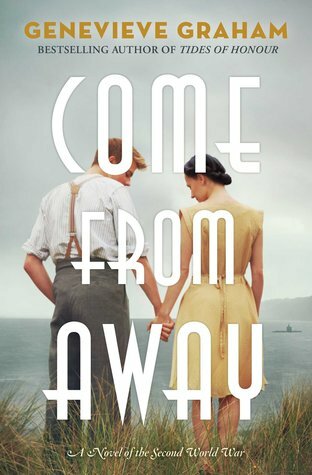 Between the siblings, the writing explored the Internment Camps and the treatment of the citizens that were held there, the loss of a loved one during Pearl Harbor, the training program to be an aviator and romance during wartime. I was surprised to see how some of the characters from the past time periods were integrated as well as how trouble the Carson's have caused in the past is still affecting them in 1943. Their mission to find and reconnect with their parents is still their mission, however, it seems that the Carson family might be fated to near misses. I can't wait to see how the next time period treats the Carson's. Pincus Potasznik is a Jewish cobbler living in Galicia. In 1910, he receives an opportunity to travel to New York and set up a landsman society through his rabbi. Pincus decides to travel to New York making the decision to leave his pregnant wife Clara and their children at home and return for them later. On the voyage to New York, Pincus does not fare well, but with the help of Jakob Adler, her makes it. Jakob befriends Pincus and they decide to help one another after landing. However, Jakob is running from an accidental murder of a Warsaw crime boss and has fallen right into the Jewish gangs of New York with boss Leo Gorpatsch. On the boat over Pincus also has his palm read and receives a warning to bring his oldest son over within the year. With the help of Jakob's connections and Pincus' skills, they set up a cobbler shop which also fronts as a way for Jakob to collect payment for Gorspatsch. Soon Pincus is so busy with his shop and Landsman Society that he can't imagine finding time to go home to retrieve his family. Back in Galicia, four years have passed. Clara has had her baby and the children have grown. She has kept her home and the cobbler shop running. War has broken out near Galicia. Pincus and Jakob plan to rescue the family while delivering a package overseas for Gorspatsch. This opens up a whole new world of trouble for everyone, but also a world of hope. 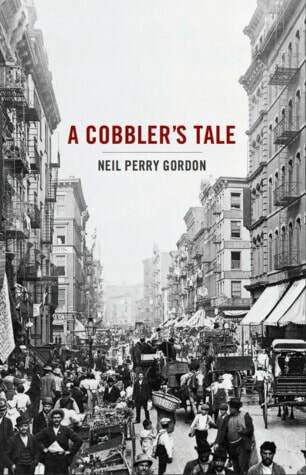 A Cobbler's Tale combines an immigrant's story along with the suspense of the Jewish Mafia, World War I and mysticism. The story focuses on Pincus, but the point of view bounces between Pincus, Jakob and Clara giving a rounded to view to the immigrant experience and the time Clara was left in Galicia. I was surprised at the reach of the Jewish Mafia. Pincus and Jakob might not have survived their first years with same ease if it were not for Gorspatsch, although it would have saved them a world of heartache later. PIncus' journey closely reflected that of a Jewish immigrant at the time and was loosely based on the author's grandparents. The writing easily conveyed the living conditions and the feeling of community within the Lower East Side. I felt a lot of sympathy for Clara's character, left to raise children, run a shop and survive in a war zone without knowing when Pincus would come back for her and the children. Her strength and courage shone as Clara protected her children and helped her community. Jakob's character was very interesting, always seeming to find trouble and falling in with the gangs, despite his friendship with Pincus, he tends to cause trouble for him over and over. There was a layer of added suspense and mystery with PIncus' oldest son, Moshe and his talent of foreseeing grim events. Known as a tzaddik, Moshe's talent can help his family, but is sought out by others. Incorporating this mysticism creates an exciting and dangerous ending that pulls together Pincus' journey. Overall, A Cobbler's Tale has a lot going on and offers an action packed historical journey of a Jewish immigrant with a touch of magic. ​Siblings Jack, Queenie and Rabbit McMasters are moving again. As military Brats, they are used to leaving everything and starting over. This time, however, the family is moving overseas. With the end of World War II, their dad has been stationed in Germany to help prevent the outbreak of another war. Now Jack, Queenie and Rabbit are on a seven day journey on the USS Upshur, with the intent of exploring every nook and cranny. When the McMasters arrive in Germany, they find a different world in Cooke Barracks and must adapt to being the new kids once again. Living in West Germany, the siblings quickly realize how far the effects of war have reached. They learn about the Iron Curtain, the new Communist threat as well as how to speak some German. While they are busy uncovering imaginary threats in the woods, they might have uncovered a real spy. This adventurous Young Adult novel will resonate best with those who have been military Brats themselves. Each of the siblings has a very distinct personality, yet each is determined to explore as much as they can. Their adaptability and sense of duty shone through. For me, the book felt split in two between their time on the Upshur and their time in Cooke Barracks. The time exploring the Upshur was fun and gave background for the siblings and parents, but took up a large portion of the book for not having that much plot. For me, the excitement began in Germany when the siblings met their nanny who told them of her time on the other side of the Iron Curtain. From here, we are catapulted into the time period and the very real dangers it presents. Near the end, the suspense intensifies and the siblings and their friends believe they have uncovered a suspicious person in the Barracks and we are left with a cliffhanger ending. 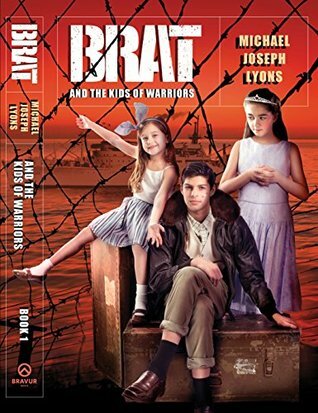 Overall, an amusing and adventurous young adult historical fiction that looks into the lives of children living as military Brats. ​St. Louis, 1934- the Great Depression has created a rift, sending most people into a spiral of poverty and accentuating the few rich families of Lindell Boulevard. The upcoming famed Veiled Prophet Ball is supposed to be a celebration for everyone in the city, but has morphed into a debutante ball where the mysterious prophet chooses his Queen of Love and Beauty. Hazel Malloy is one of the future debutantes of Lindell Boulevard. Her best friend Sandra's sister was queen last year. Hazel would much rather go out on the town and watch the latest movie. It is at the theatre that she meets Stanley, a budding news reporter whose family has been hit by the depression. Stanley is the leader of the Knights, a group that is trying to help impoverished families. Stanley insists on walking Hazel home after the movie when they stumble upon a masked man and a murder. When they see that the woman murdered is Sandra's sister Evelyn, Stanley and Hazel feel compelled to dig deeper and uncover a plot connecting the families of Lindell, the Veiled Prophet and the radical new leader in Germany. 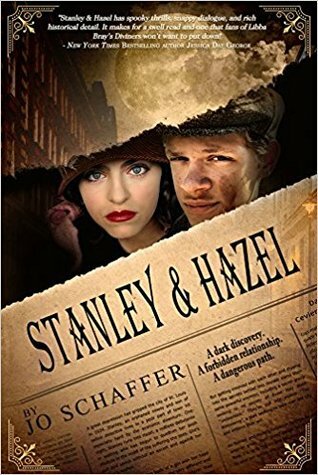 Stanley and Hazel is an adventurous, fast-paced historical murder mystery. There is a lot going on in this book and it did take a bit of reading to introduce everyone and set the scene. I really enjoyed Stanley and Hazel's characters and dynamic together. Stanley is determined to do good with the station he was given and has an immense drive. Hazel is adventurous, intelligent and able to see outside of her world. The time period of this book made everything more interesting. The writing was excellent in transporting me to 1930's St. Louis with the differences between the classes of people, the gangs, the baseball games, the movies and manner of speech. The mystery was excellent; a lot of different elements were incorporated, with different players, danger and unseen forces as well as the ominous rise to power of Hitler overseas. While one mystery is solved at the end, the bigger mystery of the Veiled Prophet remains to be solved in the next book. ​Lady Elizabeth Beckett has been trained as a code-breaker and spy for the English Crown from an early age. Elizabeth watched in envy as her brother Jonathon took on dangerous missions and soon forced her way into accompanying him. Being adept at the longbow and a dagger, Elizabeth excelled in the field and earned the code name Shadow. When young ladies begin to disappear around London, Eliza makes it her personal mission to stop the man responsible for selling the women off. However, to complete the mission, Eliza must partner with the agent, Benedict, who believes his step-brother is responsible for the missing girls. When Eliza and Benedict meet, sparks fly, but the mission must come first. ​Lady Elizabeth Beckett's sister, Lady Kate Camden has finally been released from the clutches of her fake and abusive marriage to the French spy posing as Lord Camden. Kate is now learning how to live independently and trust the people around her. Kate has made a refuge for herself at her country estate and is being protected by Adrien, Earl of Camden and Agent of the Crown. Adrien wants to help Kate come out of her shell; he is desperately trying to break in, but is falling for her at the same time. Meanwhile, Adrien, Eliza and Johnathan receive a new assignment as Agents of the Crown. The British have been warring with Napoleon and it seems as though French spies have introduced a bill to Parliament to end the War against the French. The French have been abducting female relations of Parliament members in order to force the vote in their favor. After some digging, it seems that Kate holds the key to eliminating the French spies, but she and Eliza are abducted soon after the conspiracy is broken. 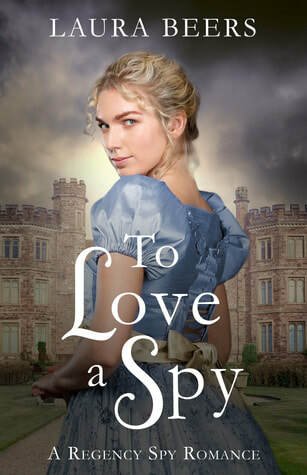 To Love A Spy continues the story of the Beckett family with Eliza's sister Kate. 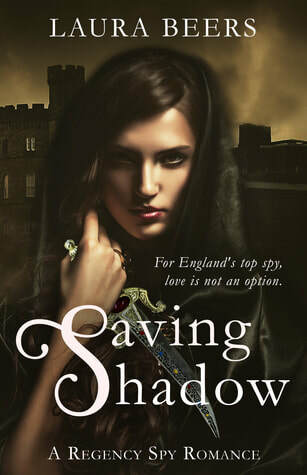 I love that these are a perfect blend of historical spy thriller and regency romance with well balance scenes of sweet adoration and action-packed danger. Kate has made appearances in the past two books in the series, but we now learn what a tremendous impact her false marriage to a French spy has made on her life. I enjoyed seeing Kate's transformation from someone terrified to leave her country manor and untrusting of anyone but her own staff to someone who is independent, advocates for herself and contributes ideas. The romance was infatuating and wholesome with a lot of respect from both sides. Through his courtship of Kate, I got to know Adrien's character better and his abilities as a spy. It was interesting to find out about his time in France and how he carried out his present mission. My favorite part, however, was continuing to see how Eliza's life is now with Benedict and how she and Kate were able to navigate through the French spy ring. Overall, To Love A Spy is a wonderful read with plenty of romance, surprises and spy operations. I highly recommend reading the first two books in the Beckett Files first, it is a wonderful series to dive into. Lady Rachel has recently escaped an attempted kidnapping with the help of Agent of the Crown, Shadow. She was taken hostage by those who would like to see the French influence the English Parliament. Now, it has been determined that Rachel should be kept safe at her uncle's estate in Scotland until the French threat passes. Rachel is left with an Agent and bodyguard David as well as a threat to neighbor and older brother of Shadow, Luke Beckett, the Marquess of Downshire to protect Rachel. However, when the lonely and brooding Marquess first meets Lady Rachel, he believes that she is just like every other English Lady and she only wants him for his money. Upon meeting Lady Rachel, he believes she is a horse thief responsible for the slew of missing animals around town. Rachel believes that Luke is a horse trainer. Luke keeps up the charade by calling himself John. As Rachel and John spend time together, Luke realizes that Lady Rachel is kindhearted and adventurous. Before Luke can let Rachel know of the ruse, a French threat is exposed on the shores of Scotland and Rachel is endangered once again. The fourth book in The Beckett Files, A Tangled Ruse continues to excite and entertain. I highly recommend reading the rest of the books in the series- and in order to catch up on the Beckett family. I was eager to continue the story with Lady Rachel who, despite her upbringing, desires more. I enjoyed her attitude of being willing to continue on with life and waking up her sense of adventure even after being kidnapped. Along with getting to know more about Lady Rachel, the story dives into Larson's past and we get to meet Jonathan and Eliza's reclusive older brother, Luke. Unlike the other Beckett's, Luke is not an Agent of the Crown but the Marquess of Downshire and his father's heir. At the start, Luke's attitude is distrusting of women and he is a loner and rough around the edges, hiding himself away at his stud farm. When Rachel comes on the scene, the writing creates the feel of a life-like Beauty and the Beast, complete with large library. The writing also offers plenty of masterfully crafted witty back-and-forth banter between Luke and Rachel as well as mounting tension as the French threaten to invade Scotland's shores creating a way for the rest of the Beckett family to come into the scene. 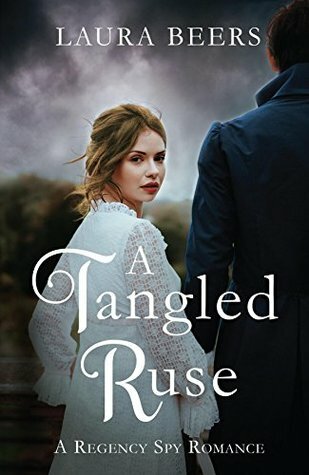 Woven in with historical elements of the Napoleonic Wars and the madness of King George III, A Tangled Ruse is more than a regency love story. With an exciting conclusion, a sweet romance and plenty of spy action, A Tangled Ruse is a great addition to The Beckett Files. ​Near the end of 1939 in East Jeddore, Nova Scotia the three Baker brothers don uniforms and head off the fight against the Germans. Their sister, Grace is left behind to tend the local general store. At times, Grace feels as if she is not doing enough and she is constantly worried about her three brothers, Eugene, Harry and Norman. Then, the war comes close to her home as Grace finds out that German U-Boats are lurking in the waters around East Jeddore. Grace's frustration with the war and hatred for the Germans rise as she finds out further news about her brothers. As Christmas approaches Grace finds hope, with Eugene home for the holidays, the siblings attend a Christmas dance. At the dance, Grace is approached by a stranger; after one dance together Grace is enchanted. However, the stranger seems to be from far away and she doesn't even catch him name. Time passes, and the U-Boat that has been threatening Jeddore's shore has been found and bombed. After that, Grace's mystery man shows up at the general store for supplies. She finds out that his name is Rudi and he is trapping along the shore, but everything else about him remains a mystery. When the truth about Rudi comes to light, it will force Grace and her family to make difficult decisions in the light of the war. Written with wonderful atmosphere and memorable characters, Come from Away blends history, the effects of war and romance into a story of hope and change. I was so happy to continue the story of Daniel and Audrey from Tides of Honour. This story of course focuses on their children, the three boys they rescued and their daughter, Grace and can be read as a standalone. It is very interesting and informative for me to read about Canada's role in World War II, as it is something often forgotten or glossed over in US education. I absolutely loved that one little know fact was the basis for Grace's love story and change of perception. At the end of 1942, several men from a U-Boat did indeed attend a dance along the Eastern Shore of Nova Scotia. From this fact, Genevieve Graham creates Rudi. The writing bounces back and forth between Grace and Rudi's point of view. Through this style, I was not only anxious to find where their stories would intersect, but I gained perspective on a German Nazi soldier trained from his youth to carry out the job he was given as well as a young women whose life is changing around her due to a war far away. The most important message in the story is one that still has a lot of impact in the world today, compassion and fighting stereotypes. I enjoyed watching Grace grow and her relationship bloom. Overall, a well written historical romance that digs much deeper than love during war. Theresa Marshall is a woman of a certain age who appears to live a comfortable life in her Fifth Avenue home during the Jazz Age. However, she is in a loveless marriage with her much older husband and has not gotten over the death of one of her sons during the Great War. Things change for Theresa when she meets Octavian, a young pilot and hero during the war. Theresa and Octavian begin a love affair and Octavian becomes intensely involved with Theresa. 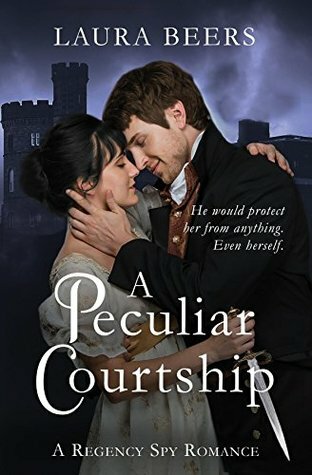 When Theresa's brother Jay becomes engaged to a young Sophie Fortesque, he needs a cavalier to deliver the engagement ring according to family tradition. Theresa offers up Octavian for the job. Octavian and Sophie meet and they know there is something more there. When Octavian is asked by Theresa to look into the new money of the Fortesque family, he finds a secret that not even Sophie knows about. Decisions will be made by Theresa, Octavian, Sophie and Jay that require courage , conviction and love. 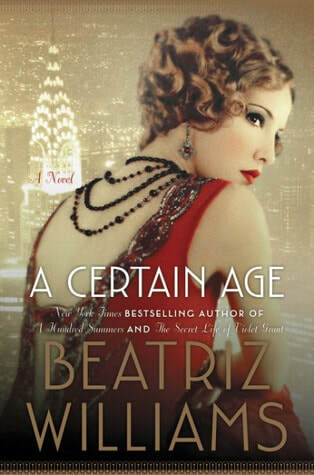 Another fabulous look into the lives of those who lived in New York's Jazz Age. If you have read other Beatriz Williams books, you will reconnect with some characters and haunts around the city. A Certain Age, however, focuses on the love triangle of Theresa, Octavian and Sophie. This is not a typical love triangle though, I truly cared about all of these characters and their well being. There also was no obvious answer to their conundrum, and yet, everyone somehow made the best and most difficult decisions in the end. I felt connected to Theresa and the twists and turns that her life made. She was one of the products of the age, married young into a loveless marriage, Theresa enjoys her upper class lifestyle, but would happily give it up to be with Octavian. Octavian is a different product of the age, a war hero who returned to life and felt lost. Sophie is yet another product of the Jazz age, a young woman who has lived under her father's rules and yearns to be independent and make her own decisions. These well developed characters combined with the mystery of the Fortesque family created and exciting and intriguing look into the lives of those during New York's Jazz Age. Emma's grandmother, Amelia is the rock of her family. That is, until the day Amelia suffers a stroke. At this point, Emma's life is forced to come into focus. Amelia suddenly wants Emma to find her old diary, one she wrote during the Holocaust, and a man named Charlie. Oh, and Amelia has also conned her cardiologist, Jackson into taking Emma on a date. When Emma finds her grandmother's diary, she is launched into a world of secrets from Amelia's life and horrors that she could not believe. In addition, Emma also reads about love found within the concentration camp. Amelia and Nazi Soldier, Charlie Crane find one another during the worst of times. Charlie, though a Nazi, has simply been forced to serve since a youth. In reading Amelia's story of survival and love, Emma comes to realize what she has been missing and dives into her new relationship with Jackson. However, she is now in a race against time to find the Charlie from her grandmother's past as Amelia's health worsens. I have always loved historical fiction and I'm so glad Shari took on such a heavy topic. 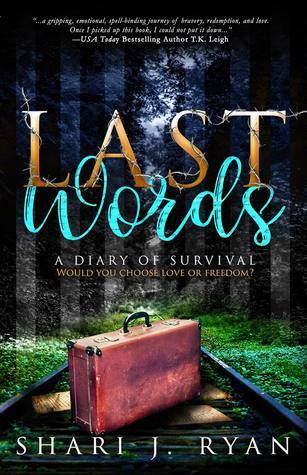 Inspired by her own grandmother, Shari has weaved together a story of past and present, survival and loss and heartbreak and love. I was pulled into Amelia's story with her strength and tenacity throughout the pain, hardship, loss and desperation of being separated from her family and watching those around her continuously die while she lived with help and hope from Charlie. With alternating viewpoints of Amelia's diary and Emma's blossoming love life, I was given a reprieve from the Holocaust and given a taste of Shari's specialty with Emma and Jackson, a sweet and sultry romance. Through reading Amelia's diary together, Emma and Jackson are brought together quickly, realizing that love is something that you should hold on to. With just enough hints of spice, their relationship heats up quickly. I was also engrossed by the mystery of Charlie; was he alive, had he moved on, would Emma find him on time? I was glad for Amelia's happily ever after, although it came seventy-four years late. Most of all this story this story is about remembering those who fought to survive and the power of love when we have lost all else. This is also a way to remember those who have survived this hateful time in history and to make sure we have all of their last words recorded so that we will never forget.